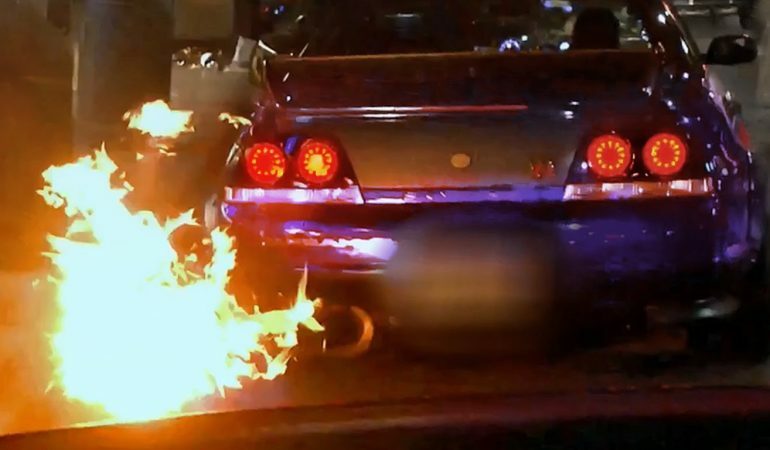 This Nissan Skyline R33 GTR Surely Knows How To Play With Fire! Here comes a car that knows how to catch some attention! It is a Nissan Skyline R33 GTR shooting flames and making some noise in London. 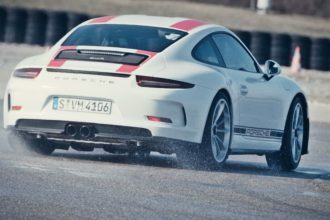 Yes, this car really knows how to play with flames with its two aggressive exhaust spitting fire, thanks to its flame kits which made this possible. However, aside from the flames, what makes this car even more interesting are the overwhelming amount of gauges inside. We are not sure what are all these gauges for. 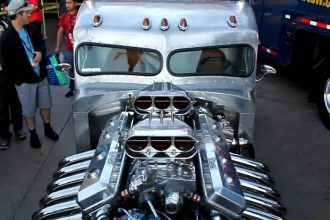 Well, probably to monitor each cylinder and valves which is somehow necessary with all the flames coming out. Nevertheless, this car surely get enough of attention it needs!